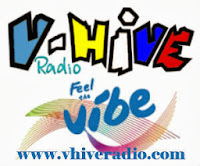 V-Hive Radio started in the 4th quarter of the year 2011 as a website radio station for V-Hive Live TV in order to entertain the website chatters and visitors. On February 2012, the regular chatters of V-Hive Live TV became the very first DJs of V-Hive Radio. The video below serve as a tribute for our batch 1 DJs here in V-Hive Radio. We are thankful to them for helping the ADMINS build the first steps of V-Hive Radio as an online radio station. Thank you guys and we do hope to see you again!